You’ll be flooded with emotion watching Tour of Honor, a stirring documentary that chronicles a trip orchestrated by Honor Flight Central Coast California (honorflightccc.org), an organization that flies American war veterans to Washington, D.C., to visit their respective war memorials. 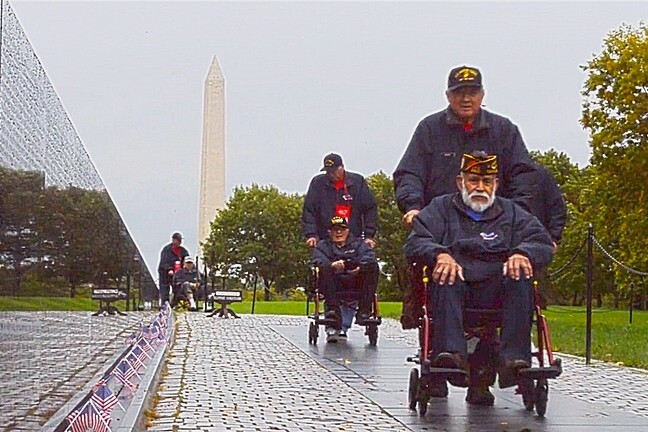 NUMBERED DAYS: The Honor Flight organization is working hard to get as many World War II vets, who are passing away at the alarming rate of 600 a day, to visit and reflect at the memorial dedicated to when they served. 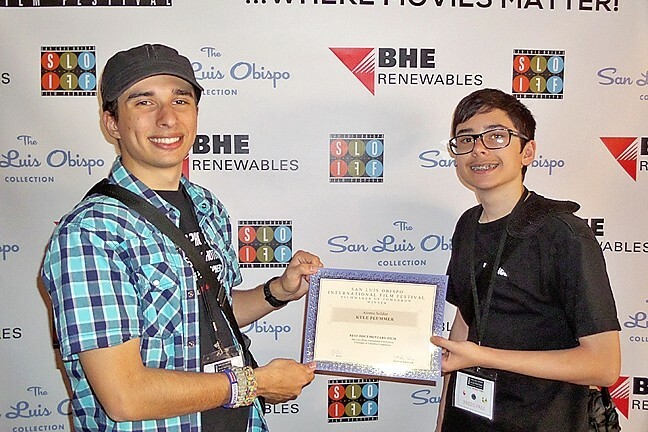 You’ll also be amazed when you discover that the 54-minute documentary—which will screen with two other films at 7:15 p.m. in Mission Cinemas (next to Fremont Theater) at the 2016 San Luis Obispo International Film Festival (SLOIFF)—was created locally by two young brothers: Kyle and Carlos Plummer. The Plummer brothers attended the very first SLOIFF filmmaking workshop in 2008, and they’ve been honing their skills ever since. Tour of Honor features effective camera work and film editing, and makes excellent use of its soundtrack and score to increase the emotional potency of what is already an emotionally wrought subject. For these American war veterans, recalling their wartime service can be difficult and cathartic. 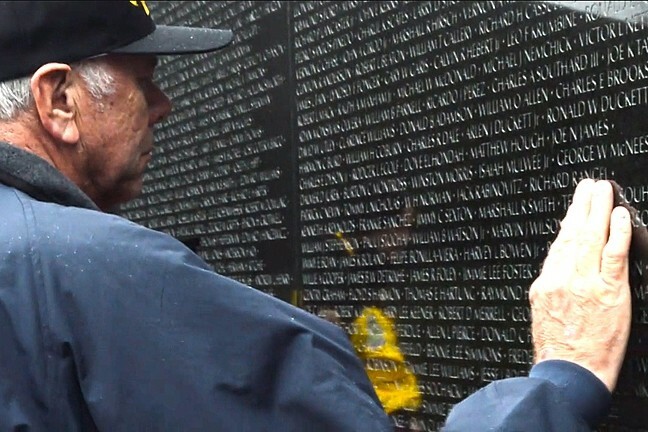 MOVING MOMENTS : 'Tour of Honor' introduces viewers to World War II, Korean War, and Vietnam War veterans and their emotion-filled trip to Washington, D.C.
What did these vets think about two young kids making a film? Did they take the young Plummer brothers seriously? And have the vets seen the film? BROTHERS : Kyle (left) and Carlos Plummer created Tour of Honor, a documentary that chronicles a local Honor Flight that brings American war veterans to their respective Washington, D.C., monuments. The Plummers did an amazing job coaxing stories out of these veterans, many of whom hadn’t spoken of the war in years. What did the Plummer brothers learn from the experience? What surprised them most? And finally, what do they plan to do next? HONOR THE VETS: 'Tour of Honor' will screen on Wednesday, March 16 at 7:15 p.m. in Mission Cinemas (next to Fremont Theater). For more info, visit slofilmfest.org. The Plummer brothers’ achievement and the encouragement they received from the SLOIFF is another example of how enriching our local film festival has become. Started in 1993 by local attorney Mary A. Harris to screen classic films, it’s grown into an increasingly important showcase for independent films like Tour of Honor. Glen Starkey loves movies. Contact him at gstarkey@newtimesslo.com.